Adventure. Time-Travel. Secrets. Sounds like the makings of a great story! 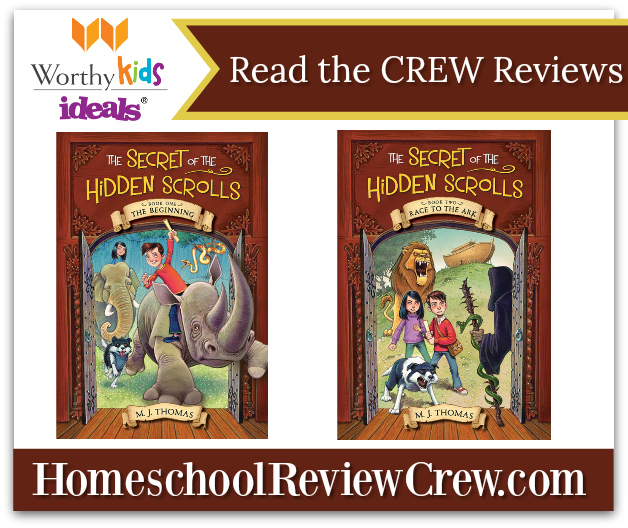 The Homeschool Review Crew was given the opportunity to review the first two books in the time-traveling adventure series, The Secret of the Hidden Scrolls by M.J. Thomas, from WorthyKids/Ideals, the company that brings us the favorite children books VeggieTales and Berenstain Bears. Like them, these two books are designed to build children’s faith and knowledge of the Bible all while capturing the readers attention with mystery and excitement. The author, M.J. Thomas, went looking for engaging books that taught his kids about the Bible. Having no luck, he decided to write some himself! The main characters, are named after his son Peter, niece Mary and his dog, Hank. 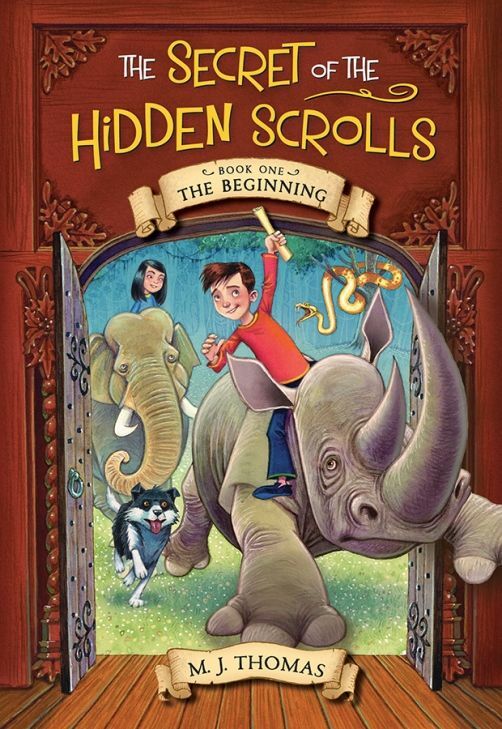 The first installment is Book One: The Beginning, where Peter, Mary and Hank, the family dog, are staying with their great-uncle Solomon, the archaeologist when they discover ancient scrolls and find themselves traveling through to time to witness stories from the Bible. They must decode the scrolls’ message before they are stuck in history forever. 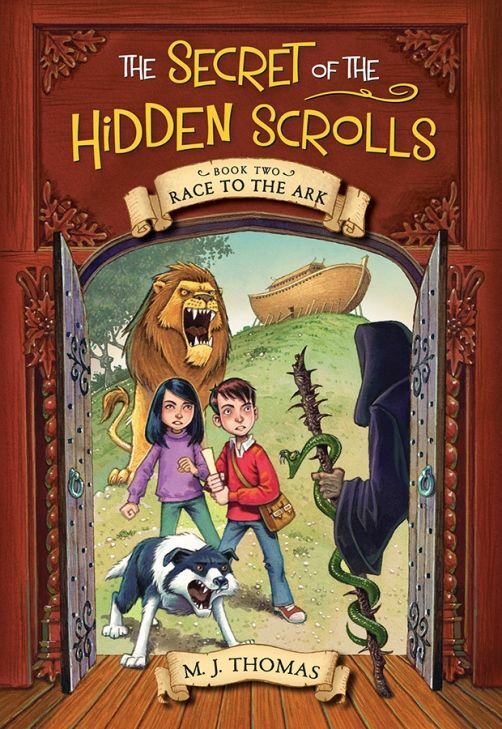 Book Two: Race to the Ark find Peter, Mary and Hank traveling to the time of Noah where they have seven days to solve a riddle before getting wiped out with the flood. These books are intended for independent readers age 6-9 or enjoyed by the whole family as a read-aloud. In either case, these books could be a great way to engage Bible events in your family’s daily life. Check out the crews reviews below to see what their kids thought! Thank you to Amy of the WRITE Balance for writing this introductory post.